At one of our Preparation for Labour and Birth antenatal classes, somebody asked the midwife at what point during labour she should head to the hospital. "I know you want me to give you an exact answer," the midwife replied, "like when you're having so many contractions per ten minutes or they're lasting X amount of time but all that happens when we do that is that people spend hours sitting with a stopwatch, timing everything and obsessing. So what we tell you is to take a couple of paracetamol, have a bath and head to the hospital when you're no longer able to get yourself comfortable at home. That will vary from woman to woman." This is something I've loved about all the midwives I've met over the past 35 weeks: they're all so laidback about the details. They talk about things we are "encouraged to try" or "advised to consider" or "recommended to avoid" but there have been very few absolute mandates. For the most part, we have been given balanced information and trusted to make up our own minds. "We are here to support you whatever you decide." I'm all for this. I'm all for parents being empowered to make their own choices about raising their own children. I knew from the start that I didn't want a pile of How To Be the Most Competent Parent instruction manuals. One friend made the mistake, early on, of telling me I had to get the baby book his sister had used which "told her down to the day when her baby would do everything!" He was given an angry, hormonal earful about babies developing at their own pace, along with some facts and figures I happened to have read about the different stages at which summer and winter babies tend to hit assorted milestones. I don't believe having strict instructions or rigid timetables is helpful for many first time parents. 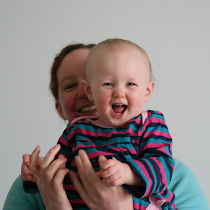 For some, yes, but most will be panicky enough about our parenting abilities without feeling criticised because our child is four days late for the first smile or two weeks early at teething. Some things - most things - I suspect are best left as rough guidelines rather than unbreakable rules. That said, I don't want to go into this completely blind. I've bought one baby book, I've read the enormous book NHS Scotland provides and there's a wealth of information on the internet. So far, though, I haven't been googling sleep patterns or infant first aid. So far, I've been googling what seem like silly questions. There are plenty of online lists of what we need for a newborn - we need X amount of vests and sleepsuits and and babygros and sheets and blankets - but they don't tell us how many layers to dress or wrap the baby in. They don't, for that matter, explain that sleepsuits and babygros are (apparently) the exact same thing. There are plenty of online lists of what to pack in my hospital bag but I struggled to find out what size of clothes I'm likely to need after the birth. I don't want to be staggering home from the hospital in trousers which are three sizes too big or too small. I've googled to find out what the "indispensable" mountain of muslins is actually for, when babies can sit up unaided and whether newborn babies actually need toys (the answer to which was "kind of... yes and no..."). And it seems I'm not alone. Pregnant friends have admitted to similar web searches. We cry "thank you!" when the other inadvertently answers a question. And the information we find online isn't from professional websites - we're finding it in forum posts started by other slightly embarrassed first time parents. It seems to be assumed that we need to be told to buy nappies but that some innate knowledge will prompt us to buy pads of our own. It's taken for granted that we know what envelope sleepsuits are and why they might be desirable. There's no handy flow chart telling us which buggy best meets our requirements because surely we just kind of... know? 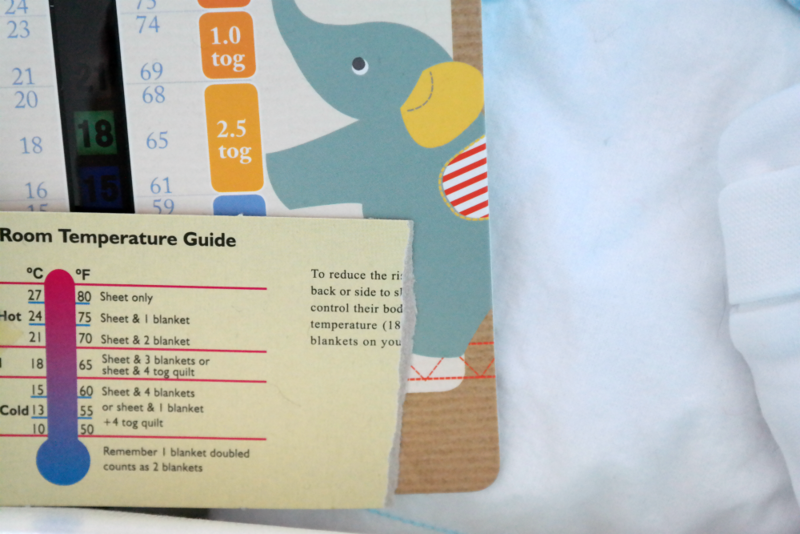 So this is the pregnancy book that I actually want to see: one which doesn't pretend there is one foolproof approach to establishing sleep patterns but which does include a season-by-season chart for how to dress the baby, a fill-in-the-blanks spreadsheet for tracking at what weight your baby is too big for the various bits of equipment you've bought and a sizeable glossary of such complicated terms as "regression", "weaning" and "flannels" (because surely they don't just mean "facecloths"?). The sum total of my baby knowledge: I think Babygro is the brand name. I only know this because I grew up in Kirkcaldy where there was a Babygro factory and I'm pretty sure they weren't growing babies. Wait, no, I mean it's because I'm an expert. Yes. That. If you have any weird questions you can ask me if you like (I am right at the stage where all baby business seems somewhat nostalgic) because I tried to figure out all that stuff with Google and still managed to get some/most of it wrong. I also needed the season by season chart but still managed to get all that wrong. BTW the envelope sleep suits are also good for when your baby has a poonami and then you can just take the whole thing down over their bodies rather than trying to get pooey fabric over their heads. Magic! I'm happy to answer some questions that we had to figure out along the way! The layers thing has been a CONSTANT struggle, honestly. We keep our room and the baby's room pretty cool, and in the beginning she hated being cold. The best advice we got was to touch the back of their neck or their chest to figure out temperature. Their hands and feet are ALWAYS COLD especially in the beginning. At least with Amelia, she does not suffer in silence - we know if she's hot (and she's rarely cold). At night she gets dressed in thick cotton jams with a DeeDee SleepNest, and we'll have to completely reevaluate come spring. When she was first born we had her in fleece jams and a muslin swaddle blanket (until she stopped liking the swaddle). We needed a bajillion muslin blankets in the beginning for everything - for swaddling and cleaning up spit up (which was CONSTANT). They don't really get used anymore though. We bought a bunch of square cloth diapers (Gerber I think) that we used as burp cloths. Amelia sat up unaided at around 5 months, but even at 8 months she tends to flop over a lot still (either forward or back). I don't know if any of that is helpful but I'm happy to help if you have any other questions. It seems like you have a good handle on at least the idea of "no rules whatsoever." I wish more mothers talked about how day-to-day the whole thing is. Ohhhhh... I guess "babygro" has become a bit like "hoover", then! Thanks! I actually knew about the envelope thing because my mum just recently figured it out (from grandparenting) and was very excited to tell me all about it (twice). It does seem like there's a lot of focus on the BIG stuff but not much talk about the little things - we're pretty much prepared to get the baby home, sit down on the sofa, look at the kid and go, "So... uh... if s/he's not crying at this exact moment in time... what are we actually supposed to do?" In the beginning they're usually either sleeping, or awake which also equals hungry. They don't really hang around awake much to begin with so you don't need to worry about ignoring them. I did not know this so was worried about talking to her / bonding etc. Bonding = milk in the beginning. They like milk and like the person who gives it to them. Having a nappy change while someone talks to you is also great excitement. Then it's time to have a sleep again as it's all been a bit much. It is a source of much evangelising. Harriet has an enormous head even as she grew bigger, and didn't like having things pulled over it, so I was a big fan of envelope necks, poo or no poo! Lovely to stumble across your blog - as I too am a Scottish preggo blogger! Ha! But what WILL you wear home from the hospital?! It's an important question! What size will we be? Will bits of us be too sore to have clothes against them? Do we need to look all stylish for photos or (the option I've gone for) is wearing one-step-up-from-pyjamas okay?! What a great post, I totally had that feeling of worry because I didn't feel like I would know how to dress a baby! Also, different terms being used like sleepsuit and babygro is confusing. Pram shopping though - ugh! Every time I went into a pram selling place I ended up feeling stressed because there is too much choice and they are so expensive. Plus I couldn't really imagine what my life would be like with a baby so couldn't imagine using one! The best thing is if someone gives you one because then you have no choice! Re prams, I would advise anyone to buy second hand plus keep in mind you might only use it for about 6 months then you can use a fold up buggy. In any case, a nice carrier is much easier when you get the hang of it and so handy. But trust me, that's a whole other world of fancy slings and expense if you get sucked in! We ended up getting a buggy much earlier than intended because my mum was visiting and was really keen to buy it for us. I couldn't keep a straight face in the shop - it seemed far too ridiculous, ME needing a BUGGY?! We basically ended up with the one Steve found easiest to steer. Muslin cloths are for wiping up anything and everything, from tea to poo. They make good sheets/blankets and change mats and bandana bibs. Also can be folded as a newborn nappy. Or, Costco do (did) packs 60 40cm terry cloths for £6 ish in the car parts aisle. Meant to be for polishing cars, but excellent for cleaning house and child and folding up as nappy pads. You will go through gazillions of vests/babygros (get front opening) because babies leak like sieves at both ends and washing is a lower priority than food and sleep. Same goes for bedding, but you have muslins for that. You will soon figure out what combination of vest/babygro/joggers/cardigan you prefer depending on how often you have to change which end of the child and whether or not your child runs hot. Feeling a bit nostalgic for the baby days. Enormo boy is going into age 3 clothes (at 20 months!) and starting to look like a boy and not a baby anymore. Aw, but I bet you'll be nostalgic for the 20 months stage, 20 months down the line! There must be the potential for some sort of hybrid here, no? A wet/dry hoover component for dealing with nappies and/or scattered food?